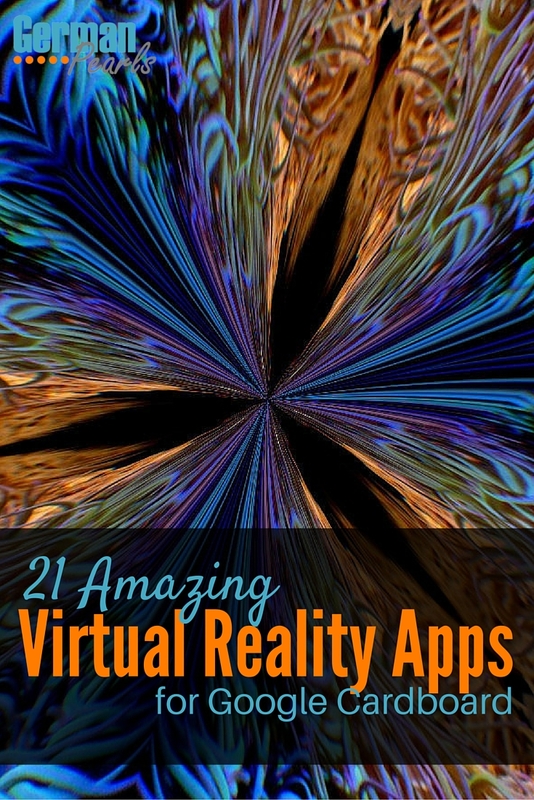 If you’ve been wondering what virtual reality (VR) is all about here’s a list of Google cardboard apps where you can explore new worlds and new adventures. There’s more to virtual reality than just playing VR games. 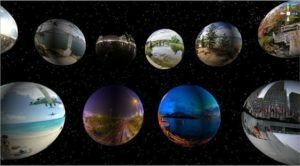 With these VR apps you can explore places in the world you’ve never seen, take tours through other parts of the universe, experience extreme sports first hand or immerse yourself in a scary movie. 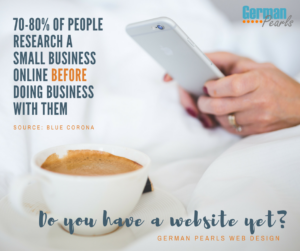 The best part is that you don’t have to be a tech geek or spend a lot of money to check them out! If you’ve read about virtual reality (VR) before you may have seen pictures of people wearing great big goggles. These goggles, like Oculus Rift and HTC Vive, look pretty daunting and can cost several hundred dollars. But, Google has created a VR headset that you can get your hands on for around $15 or less! This headset, called Google cardboard, includes lenses and a cardboard frame that you wrap around your smartphone. Google sometimes releases Google cardboard headsets through 3rd party promotions (like Verizon or McDonald’s) but those are hard to come by. If you want to get your hands on a virtual reality headset now some third parties are making similar products based on the Google cardboard headset. Here are some good options on Amazon and ebay . Note: You may also be interested in reading about my 10 favorite iPhone apps. We couldn’t make a list of Google cardboard apps without mentioning the original Google cardboard app. This app is a good way to get started with your new VR toy. You get to experience virtual reality through a kaleidoscope, by touring through foreign cities and visiting famous museums. This app may be one you already have on your phone, YouTube. Using your Google cardboard virtual reality headset you can watch 360 videos on YouTube. According you Google you can find them by searching for the channel #360Video. Or, you can simply use the headset to watch regular movies on YouTube. Regular movies won’t convert to virtual reality movies but you can use the headset as a viewer according to this article in Lifehacker. Who doesn’t want to explore new places? 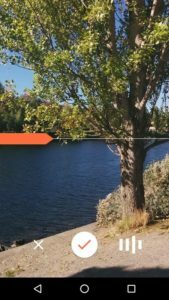 Even without the Google cardboard headset Google street view can be pretty cool. Well, next time you’re checking out a cool place (or your own neighborhood) in the Google street view app click on the Google cardboard icon in the upper right and drop your phone into your virtual reality headset. Now feel free to explore the world “around you”. See also: The 75 top apps of 2015. Want to create a virtual reality world from the world around you? Drop your phone into Google cardboard and open the Cardboard Camera app. Now you can create your own virtual reality photos. You want action? Who else would you turn to but GoPro? 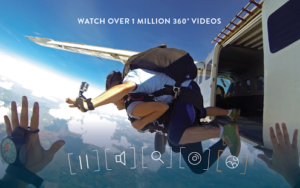 GoPro’s Google cardboard app will let you get right in on the action. 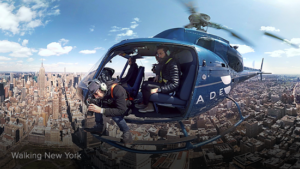 From base jumping to rock climbing to mountain biking, enjoy awesome GoPro videos with virtual reality. 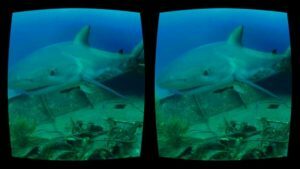 If you love the Discovery channel you have to check out their app for Google cardboard. Experience your favorite Discovery channel shows (including shark week!) in virtual reality or just explore far away corners of the world. Note: Got a lot to do? Check out these great to do list apps. 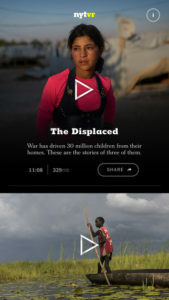 Use your VR headset to get closer to the news stories with the New York Times virtual reality app, NYT VR. Experience never before seen places and get immersed in the action of news events. Even the Huffington Post is getting in on the virtual reality action with their own app called RYOT (pronounced “riot”). Like ghost stories and ghost movies? How about being right in the middle of one. 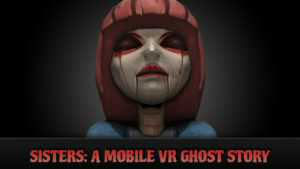 Download the sisters app for your headset, if you’re up for it. Within (formerly called VRSE) is a platform which houses high quality virtual reality movies from various sources. 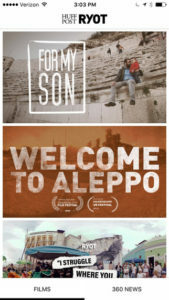 Watch short films, music videos, comedy and documentaries on Within. 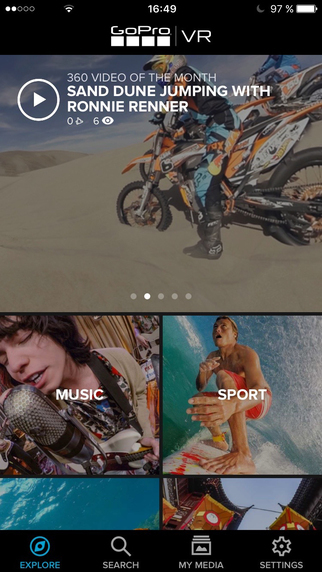 Jaunt is another one of the Google cardboard apps focused on curating the best VR content on the web. Watch the videos on Jaunt with or without your virtual reality headset. Orbulus is one of the vr apps that lets you explore places around the world. 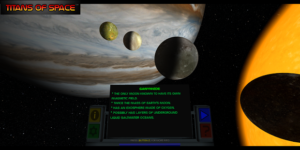 Unlike some of the others, with orbulus, you can also explore places around the universe. Go ahead, take a walk on Mars with this vr app. With the Glitcher VR app you can use your phone’s camera to capture the world around you through various different virtual reality filters. Want to tour the solar system? Simply drop your phone into your virtual reality viewer and check out the Titans of Space app. Want to test drive a Volvo. Who needs to go to a car dealership? There’s an app for that! 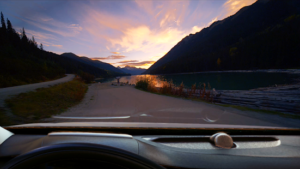 Test drive a Volvo in the Volvo reality virtual reality app. 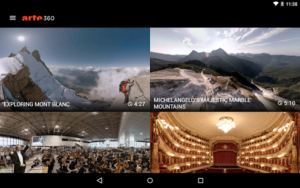 Be immersed in beautiful videos with the ARTE360 app for Google cardboard and other virtual reality viewers. With the Fulldive VR app you can use your phone like you would normally, in a virtual reality sense. Watch YouTube videos, surf the internet and explore your phone’s content through your VR goggles. 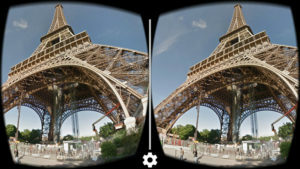 Google cardboard apps give you a great way to explore places you’ve never seen. 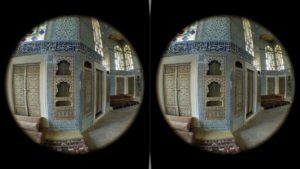 The Sites in VR app is an excellent way to explore places around the world you might otherwise not see. See places like Turkey, Morocco, Egypt and France. Explore monuments, mosques, castles and ancient cities. 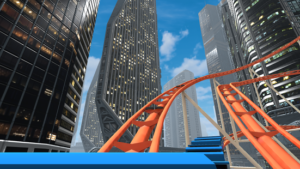 No list of Google Cardboard apps would be complete without including a VR roller coaster app. This app lets you experience a, well, rollercoaster! 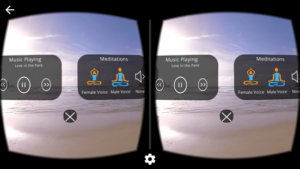 When the real world gets too much, immerse yourself meditation and beautiful relaxation with the Relaxation VR app. 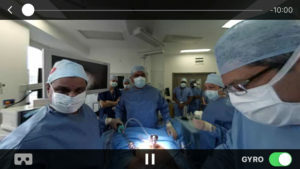 VRinOR lets you step into an operating room without stepping foot inside a hospital. 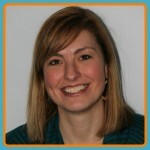 Watch live operations or archived ones that are being stored in an “encyclopedia” of surgeries. 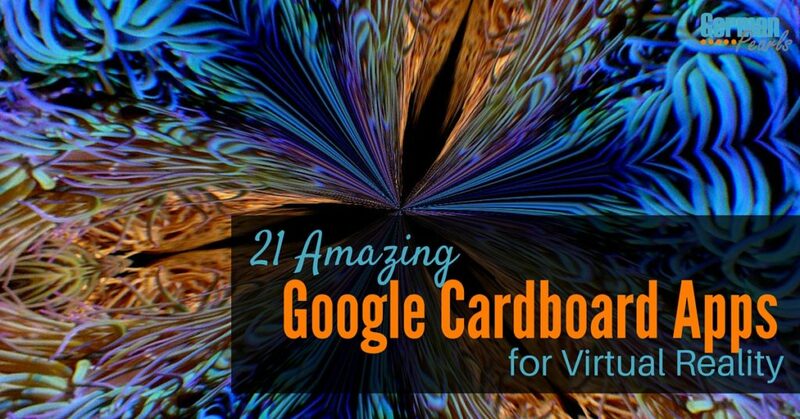 What are your favorite Google cardboard apps? 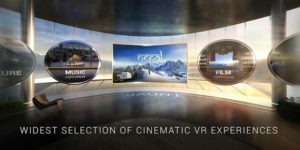 The VR apps in this list let you to view amazing places, experience incredible adventures and immerse yourself in movies. I love experiencing new things and Google cardboard (and similar headsets) let you do this from the comfort of your own home – at an affordable price! Good luck with the transfer! Nice post. Outstanding arguments. Keep up the amazing work.